Ginger Rogers and Fred Astaire, does your Krav Maga look like this? With a little free time on my hands and a full tour ahead I decided to do something I rarely do; research what the other Krav Maga associations are doing. I did not expect to uncover any useful techniques but perhaps some new situations that need to be addressed. I rarely do this, in fact it has been years, because to be totally honest it makes me ill. The first video I watched made about 6 historical and factual errors in the first 30 seconds. They included an incorrect translation of the word Krav, an incorrect Biblical reference, and several historical errors about the development of Krav Maga, ie. the Imi myth. Sometimes people look at legendary figures from 2,000 years ago and attribute all sorts of magical powers to them and we wonder. But here we have a figure who died in our own lifetimes and already has been elevated to the status of superhero saint. No disrespect intended but we must stick to the facts. We must cross check our facts and not rely upon legends and myths. For a more accurate view of history, and one that you can fact check yourself, please see Krav Maga history and Krav Maga history interview. Facts must be checked, just as techniques must be tested. With all due respect I cannot understand these instructors, do they really have such inflated egos that they think these moves will work under real conditions? Nearly every move involved incredible accuracy, precision, speed and strength. Not only that but the only way to pull these off is by anticipating the attack. Now I am not saying these cannot work, all things are possible, but they depend on too many factors, too high a level of skill and a level of training that few will ever attain. Grabbing a hand in movement is nearly impossible! And then grabbing, holding, controlling, everything in perfect timing, my God these guys looked like Ginger Rogers and Fred Astaire. I know that I could never pull off these techniques, and I have tried! None of this stuff is new; I trained in these techniques for many years but always had my doubts, I never felt confident with them. And so ...we evolve. We seek simpler methods. These styles claim to work on instinct but they do not. This simply defies human logic, this is not instinct. My goal was not to create anything new but simply to make the techniques usable for people like myself, ordinary people who live in this reality. Watching these Krav Maga clips feels like watching the Chinese acrobats and jugglers. Yes, it can work if practiced enough and there is no element of surprise. The moves are fast, strong, accurate, and well choreographed. This is the exact opposite of who we are and the circumstances in which we will find ourselves. Normandy landing, D Day, June 6, 1944, The Allied invasion. Everything was prepared, every detail was taken into account, everything was rehearsed, everyone was ready, but so was the enemy. By the end of the day more then 4,000 Allied warriors lay dead. War is hell. Today the streets are hell and the home can be hell. 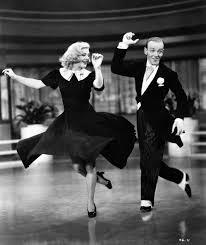 We cannot rely upon Ginger Rogers and Fred Astaire fancy footwork, we must keep it simple, very simple. As Bruce Lee said our goal is simply to simplify. As I see technology advancing I see more and more people left behind, they can no longer cope and they give up, they need something simpler, user friendly. We need a very user friendly Krav Maga system, one that encompasses all aspects of self defense, that is our goal, that is the mission of our IKI instructors in 35 countries worldwide. Fancy moves will impress an audience but simple moves get you home safe. Development of the Israeli warrior spirit over 3,700 years. Fighting, weapons, strategy from the Biblical Abraham to our own times. 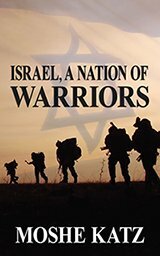 Analysis of Israeli security, history of a warrior nation, development of Krav Maga fighting system. Every day heroes - Ordinary people who have done extra ordinary things. Combating Terrorism on the home front. A warrior culture; songs, bumper stickers and reunions.